I have stumbled on this Brain Pickings thing where they have posted graduation ceremony speeches by famous people. I am not sure it is a good thing, as I have become so addicted to these motivational words that I have no time to actually DO anything. 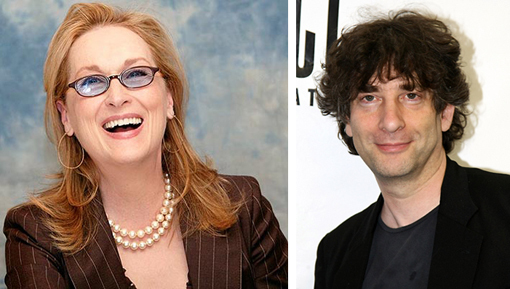 Don't get addicted, but do watch the lovely rambling speech by Meryl Streep and Neil Gaiman's beautiful face (and speech). I watched The Bridges of Madison County the other night for the umteenth time and just adore her too. Her mannerisms in this video are so like her character in the movie. Thanks for posting this Bron, loved it. ps. Is there a Brain Pickings anon? If so, I may need to join.